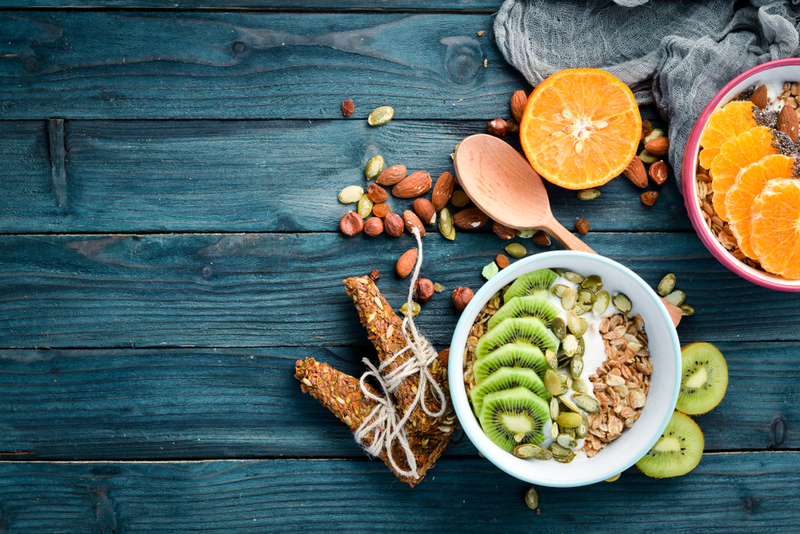 They say breakfast is the most important meal of the day, so start your day off right with a healthy and delicious meal at one of these spots! Thanks to Blue Bowl Superfood, you can grab a quick breakfast when you’re on the go while still making sure you are eating a nutritious meal. Here you can create your own bowl using a variety of ingredients based on your individual tastes. Start with one of their bases like their Acai that is harvested directly from the Brazilian Amazon, the Pitaya for a great source of fiber and magnesium, or the steel-cut oats, which can help reduce cholesterol levels. You can then top your bowl with a variety of other options like fruit, nut butters, cacao nibs, seeds, and more. Each ingredient they offer comes with its own set of health benefits and flavorful taste! The food at Green Tomato Grill is made from scratch each day using the finest ingredients to give you a delicious and healthy meal! They locally source their meat and marinate it themselves; their vegetables are cut fresh each day. Even their sauces are made from scratch using natural ingredients. All this adds to the great-tasting food they provide for you that is healthy and served fast. Their menu features a variety of dishes from their Breakfast Tacos to Organic Oatmeal. A favorite is also their Protein Scramble, which comes with an egg white, turkey sausage, and a variety of vegetables. Another place to stop by for a fast breakfast is Vibe Organic Kitchen & Juice. Their organic, plant-based, and gluten-free food is the perfect way to begin your day with the natural energy your body needs! 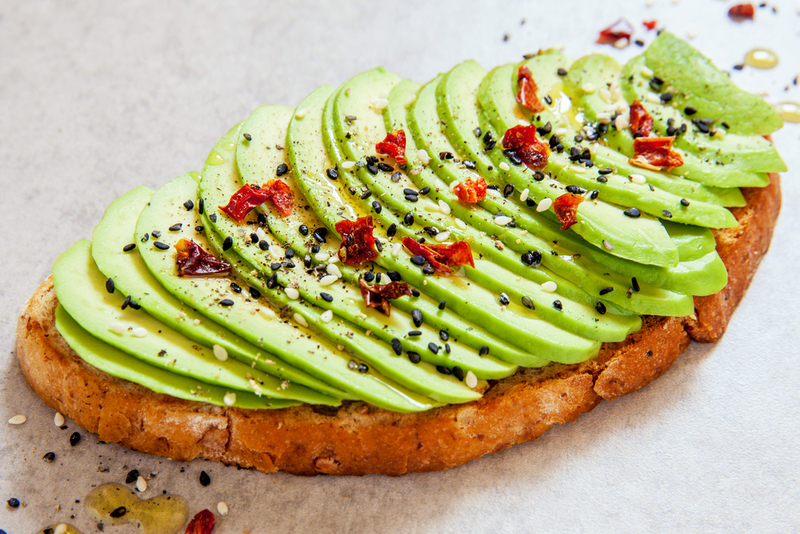 Grab their Vibe Classic avocado toast that comes with smashed avocado, cherry tomato, and coconut bacon all topped on gluten-free toast and drizzled with a balsamic glaze. You can also order their Strawberry Chia Parfait or Breakfast Bowl that features their signature cauliflower scramble. You can wash your meal down with a smoothie like their Breakfast Buzz, which has cold-brew coffee mixed with almond butter, banana, cinnamon, maca, and more. Grab a Natural and Tasty Breakfast this Morning! Enjoy the best healthy breakfast near Orange County, CA, at one of these restaurants! If you live in the Orange County area, you’re probably getting really excited for the upcoming Coastal Country Jam, with artists like Tim McGraw and Jake Owen performing. But after a long day in the sun enjoying some classic country tunes, you’re bound to work up an appetite. While there’s food available at the festival, you may need some more nourishment. We’re here to give you a list of the best local restaurants to visit after the Coastal Country Jam! If you want some fresh and tasty food, but you can decide on the style of cuisine, you may want to head to Pacific Hideaway. This restaurant focuses primarily on seafood, but with an Asian and Latin flair. Start off with some Tuna Poke or Shrimp Ceviche to set your palette while browsing the bigger entrée options to finish off your evening. There are plenty of taco and salad options to choose from, but if you’re looking for a big finish, you may want to try the Baja Striped Bass, Smoked Duck Breast, or even the Whole Crispy Fish. There’s no better way to complete your big day than enjoying a Matcha Cake or Pavlova! Are you in the mood for rustic dishes with locally sourced ingredients? Seasalt Woodfire Grill may be worth checking out after the festival. They’ve got plenty of land and sea options to choose from, as well as different styles of salt to utilize to craft the perfectly seasoned dish. Go big with the 40 oz Tomahawk Ribeye, Jumbo Tiger Prawns, or the Smoked Santa Maria Tri-Tip Linguisa with plenty of farm sides to choose from. Pair your meal with Maple Glazed Carrots, Grilled Broccolini with Lemon Thyme Salt, or the Smoked Pork Belly Mac and Cheese! Watertable offers sophisticated menu items that will take your taste buds to new heights! Get started with some Roasted Winter Squash Soup or Beef Carpaccio before delving into the entrees. You’ve got options like the Chilean Seabass, House Butchered Filet, or the 8oz Rock Lobster Tail with plenty of house-made sauces to complement the dish. Complete the Watertable experience with dessert. You’ve got your choice of Fried Custard, White Wine Poached Apples, or even the Honey Whiskey Cake, among many offer delicious choices. After your long day at the Coastal Country Jam in Orange County, you’ll work up an appetite that a drive-thru can’t accommodate. Instead, try any of these great local restaurants to amplify the experience! Living the spinning life is a rewarding life to live. Imagine hopping on top of that stationary bike and feeling like you can conquer the world, all while building muscle, burning calories, and having a great time. Yes, it’s work, but it pays off. Even after your first ride, you’ll notice a difference, even if it’s an elevated mood. 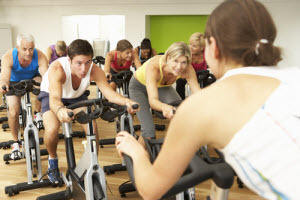 Whether you’re new to this form of working out or have been a spin champ for some time, we have found some of the best spin classes near Irvine that you need to try. Keep reading below to learn more! With booming music and a workout light show, you can take your spinning to the next level with Freedom Ride. No rider is left behind here as they accept all fitness levels into their fun and beneficial classes. They focus on fitness and offer their first class for free. Make sure to sit in the back row, so you can see the advanced riders, giving a glance at what you will soon become. 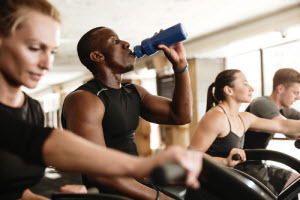 At Neaumi Fit, they believe adding cycling to your workout regime adds a cardio edge perfect for weight loss and management, as well as a more toned look. They offer an array of plans available, allowing you to pick when you want to work out and what price you’d like to pay. While spinning, you will have rockin’ background tunes to motivate you and hand weights to increase upper body strength. All are welcome! UnionRYDE invites all spinning newbies to become a roughRYDER with their cycling classes. They have one rule here – ride hard and have fun. Their high energy classes will push your limits from warm up to cool down, so you can meet your goals. All levels are spinners can find a place here and their “we do this together” mentality allows everyone to feel welcome. Find your favorite class and get started today! 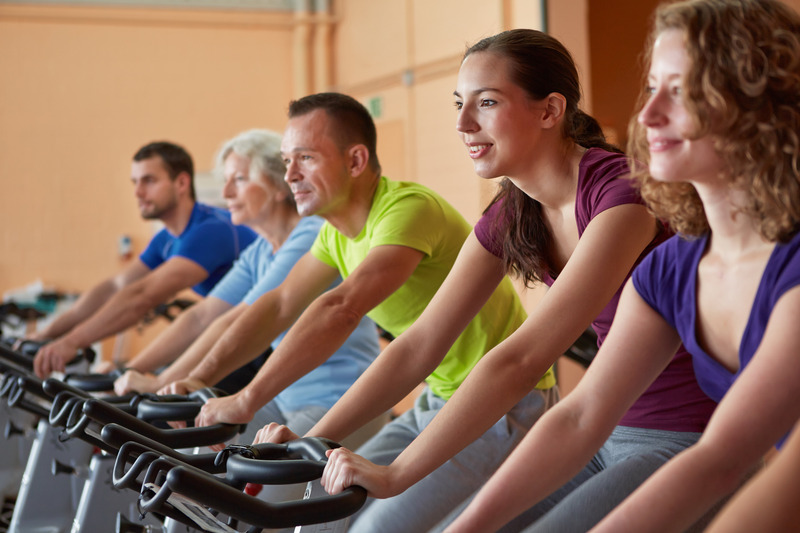 Now that you know the best spin classes near Irvine, you can begin a new workout routine and meet your goals like never before. Remember to bring your water bottle! You live a busy life and work hard day in and day out. Whether you’re a busy office bee, a weekend warrior, or stay-at-home parent, your commitment deserves to be rewarded with the royal treatment. So, why not indulge with a relaxing spa day? To help you get started, we have found the best spas in Irvine that are ideal for practicing luxurious self-care. It’s time to turn off your phone and settle in to receive the pampering of your life. If you’re looking to rejuvenate with top-of-the-line facials, turn to Greenery Beauty. This salon and spa specializes in transforming your skin with top-of-the-line facials and treatments that are sure to make you look great and feel even better. Their facial menus are filled with varying services, allowing you to pick something that will work the best with your skin. From de-stressing and revitalizing to microdermabrasion and chemical peels, it’s all right there. They can even lift your eyelashes to make them healthy and full of life. Lemon and Honey is a day spa and retreat that fuses together ancient skin-care wisdom with modern-day amenities. Their team of professional estheticians can help reveal and elevate your skin’s natural beauty with just one visit! Stop in and schedule treatments like uplifting facials, seamless waxing, or spray tanning that will have you looking smooth, soft, and glowing. You can also begin with an advanced consultation to find what is right for you, taking the guess-work out of your tranquil spa day. For ultimate relaxation through massage, Majestic Spa is the place to be. Through a number of popular treatments, they will help ease aching and sore muscles, as well as rejuvenate both your body and your mind. Their massages include neck and shoulder and Swedish, but they also offer reflexology and acupuncture to improve your circulation and immune system. You can also opt for the Majestic Signature Package, which comes with a combination of full-body massage and reflexology for the best of both worlds. Whether you’re looking for a facial, massage, waxing, or more, with the best spas in Irvine, you’re all set to unwind with a soothing spa day. Now, what are waiting for? Get to relaxing! More and more people are turning to gluten-free dining, and it’s easy to see why. For those with gluten sensitivity, gluten-free food offers a delicious way to enjoy meals again; for others, it’s a healthy way to indulge in some downright mouth-watering treats. If you’re looking for great gluten-free restaurants near Irvine CA, look no further! We’ve rounded up some of the best gluten-free restaurants in the area, so get ready for a dining experience you won’t soon forget. For gluten-free food with an Asian flair, you’ve got to try Asian Box. 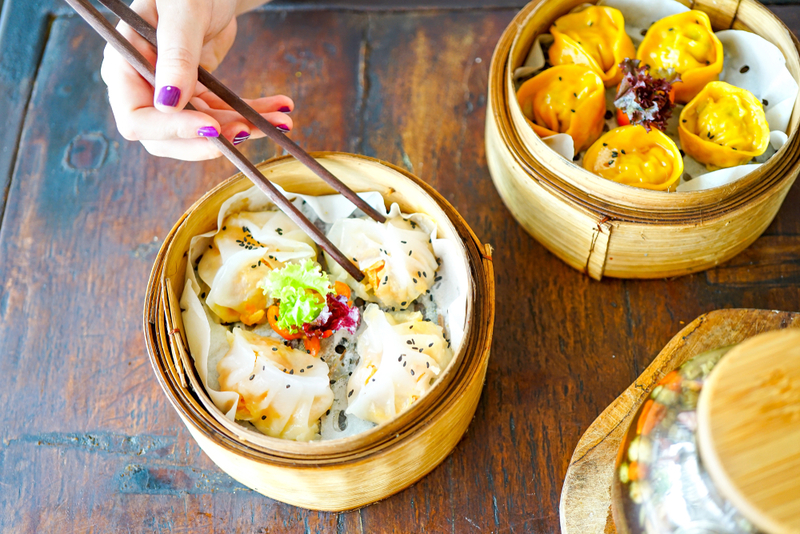 Based on the idea of Asian street food, this restaurant provides a delectable assortment of savory options that emphasize sustainability and a farm-to-table mentality. It’s fresh, ethical fare that you won’t be able to get enough of. There are tons of different customizable options depending on your tastes, including a delicious coconut curry tofu that’s perfect for vegans. We’re especially fond of The Miss Jones, which comes with lemongrass marinated pork, a caramelized egg, and a host of succulent toppings. If you thought to go gluten-free meant giving up some of your favorite foods, think again. At Lazy Dog, there are seemingly endless options to choose from, including some of your favorite sweet treats. The Crispy Deviled Eggs are a delicious starter, with candied bacon and smoky paprika. There are plenty of gluten-free burgers, pizzas, and sandwiches to satisfy even the hungriest customer, but make sure to save room for dessert! The 7-Layer Chocolate Cake is decadent, delicious, and designed specifically for the gluten-sensitive. What’s not to love? For healthy food that’s as good to eat as it is good for you, you need to visit Seabirds Kitchen. This plant-based, organic restaurant prides itself on creating artisanal, top-notch vegan cuisine that even committed meat eaters will love. There are plenty of options to choose from on the diverse menu, including savory Kimchi tacos, a wonderfully satisfying Warm Cauliflower Salad with grilled tofu and fried dates, and Burnt Brussels Sprouts. Whatever you order, don’t forget to try the Tiramisu! It’s a gluten-free, vegan delight that you’ll be sure to want seconds of. Going gluten-free has never looked so good! Now that you know all about gluten-free restaurants near Irvine, CA, it’s time to try them for yourself. You’ll be blown away by the taste, style, and creativity of these great locations. Physical therapy is a cornerstone to rehabilitation. Whether you have had a recent or serious injury, you’re an athlete, or need some help getting back normal movement, putting your body to the test allows you to regain the strength you once have and live a more fulfilling life. These Irvine physical therapists are here to help you do just that. Led by professionals in the field, these facilities are here for you when you need them the most. With a team of dedicated professionals at your side, California Rehabilitation and Sports Therapy can help you improve your performance, be it for work, play, or daily life. Their friendly and welcoming staff specializes in an array of services tailored to what your body needs. From sports medicine to women’s health and much more, their state-of-the-art facility is here to make your body the best it can be. At In Motion OC, their mission focuses on physical healing through a team effort. They offer both physical therapy, as well as aquatic therapy to help in the multiple stages of your body’s rehabilitation. They also assist with a number of different ailments from arthritis to tendonitis and even offer a free screening to see which methods will be best for your recovery. With a team of expert doctors working with you, you’ll be back to your best self in no time. With a hands-on approach, the professionals at Southland Physical Therapy can change your life for the better. Through a series of therapeutic exercises and functional training, they will help better mobilize your body as a whole. They treat a wide range of problems and, as well as provide therapy for pre-and-post surgery situations, women’s health, sports, and much more. There’s no time like the present to begin your rehabilitation, and the above Irvine physical therapists can be of great assistance. Good luck happy moving. When you’re looking to turn any Saturday or Sunday into an eating and drinking fest fit for royalty, brunch is always the answer. Not only do you get to eat your favorite dishes from breakfast and lunch, you canalso drink in the early afternoon! Because we love this meal as much as you do, we have found the top spots for the best brunch near Irvine. Hit them up the next time you and friends are looking to elevate your weekend mornings. Eats Kitchen and Bar is ready to impress with their weekend brunch; they are full of favorites with contemporary twists. However, there is no better way to start than with their build-your-ownbottomless mimosa bar or a Bloody Mary with jump-grilled shrimp. If you’re looking to drinksome serious champagne, some food might be a good idea and one of our faves is the chicken and waffles. Classically prepared buttermilk fried chicken sits atop a fresh waffle with bacon butter and rosemary syrup. Add an egg for the full experience. 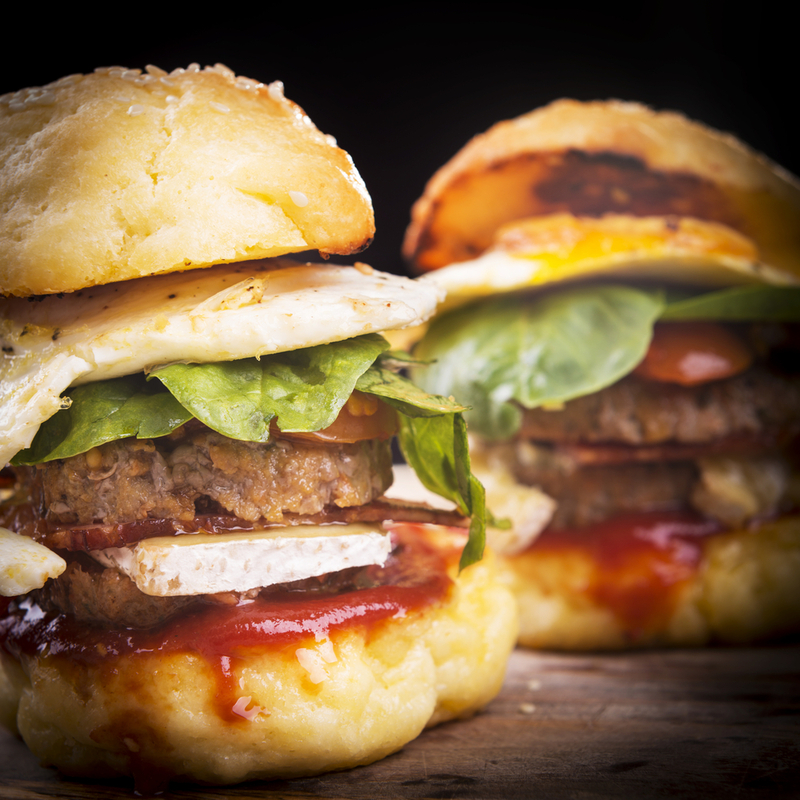 Panini Kabob Grill is the perfect place to have a classic brunch with items that are prepared with fresh ingredients and farm-raised organic eggs for that one-of-a-kind taste. All meals come with your choice of roasted potatoes, fruit, or a mixed green salad, and you can add on a mimosa for a price that can’t be beat. You can also create your own scramble and omelet or choose something off their menu like their smoked salmon plate, Mediterranean wrap, or a traditional breakfast combo. Add on a house-made espresso, as well. Zov’s a fun joint that hasbeen in Orange County for over 30 years, so you know the food has to be pretty incredible. Whether you’re in the meat scene or looking for something vegetarian, they have something delicious for you. Customer favorites include their massive breakfast burrito with sausage, farm-fresh eggs, hash browns, veggies, and of course, cheddar cheese. Buttermilk pancakes are also a hit, made from scratch right when you order them. Don’t forget to set the mood right with a mimosa in orange, pear, cranberry, or pomegranate! With places like these to get the best brunch near Irvine, your weekend will thrive like never before. Don’t forget to have a mimosa for us! Mission Viejo has a very strong, tight-knit community, which can be seen with all the volunteer options and nonprofits that are in the area. So if you are looking to get involved, here are a few of the top community help in Mission Viejo, CA. Created by veterinary professionals, this nonprofit helps provide the necessary medical care to sick or injured animals they rescue and then eventually help them find their new home. And if you are an animal lover as well, there are plenty of ways for you to get volunteering at CARMA. They have Dog and Cat Foster Programs as well as opportunities to come in and help care for and socialize with the animals to give them the love and support they deserve. Their volunteers also help pet owners in the community by delivering them food, supplies, and even medical care. You may even help by finding your family’s next pet at CARMA! Families Forward helps families find sustainability through housing, food, education, and other supportive services. And with all the services they provide, there are also plenty of ways for you to get involved. Tech-savvy individuals can help as a front desk volunteer with data entry, administrative assistance, and computer lab assistance. If you are the DIY type, you can help prepare the homes they have for families to move into with maintenance and home repairs that need to get done. You can also help with one of their food drives, specifically their Thanksgiving Baskets they do for the holiday. They even have an Adopt-a-Family program set up to make the holidays a special time for everyone. Laura’s House offers a variety of programs and services that provide vital support for and education to help avoid domestic violence. From hotline support, transitional housing, a counseling center, to legal services, Laura’s House helps victims of domestic violence get the safety and tools needed to live an independent and healthy life. You can volunteer in a no-direct service role as an office, event, outreach, or resale store retail volunteer. Or if you want to apply for a direct-client service role you can complete the state-certified training and become a childcare, hotline, case management, or transitional living center volunteer. There are even ways for your child to help out with their Junior Friends Program. 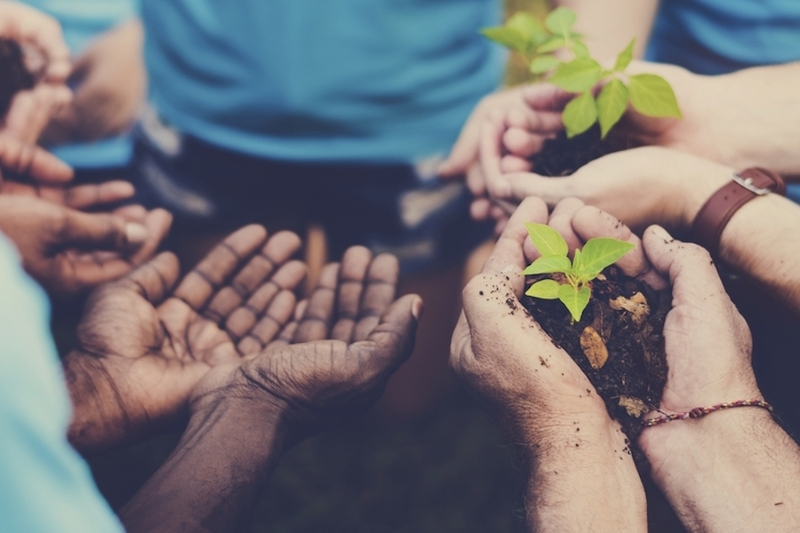 Apply to be a volunteer today and help out your community! If you’re considering a new car for your experiences on the roads of Mission Viejo, RSM, and Newport Beach, you may want to consider a new VW 2019 model for sale in Irvine at Norm Reeves Volkswagen Superstore Irvine. There’s plenty of options to choose from, so our team is here to give you a closer look at the 2019 Volkswagen lineup. Keep reading to see if one of these models could be your next car! What Are the New VW Models for 2019? There are plenty of new VW models to make their way to our inventory for 2019. These models include some notable sedans, wagons, and even SUVs! So whatever style you prefer, there’s sure to be a 2019 VW model for you just waiting to be driven! 2019 Volkswagen Jetta– The VW Jetta has long been a staple Volkswagen sedan due to its strong and efficient performance, its sleek and alluring style, and its bevy of notable features. It includes a turbocharged engine capable of delivering 147 horsepower. 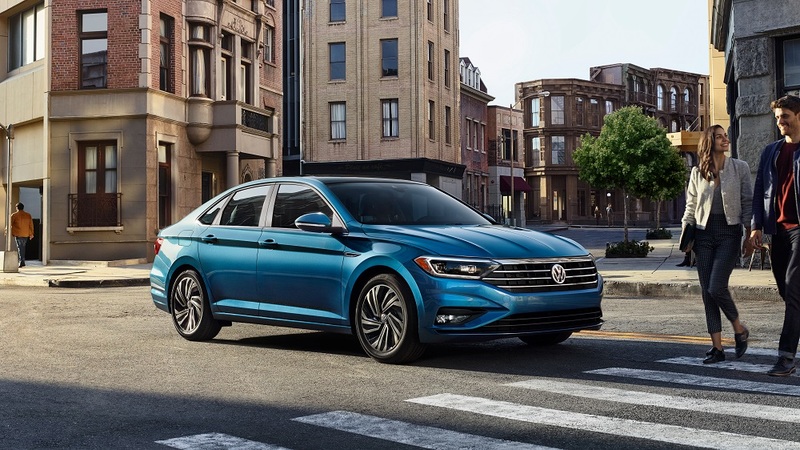 2019 Volkswagen Passat- The 2019 VW Passat delivers a similar inviting style like the VW Jetta, but it includes a more powerful engine capable of producing 174 horsepower. The body is even longer, providing more cabin space for you and your passengers. 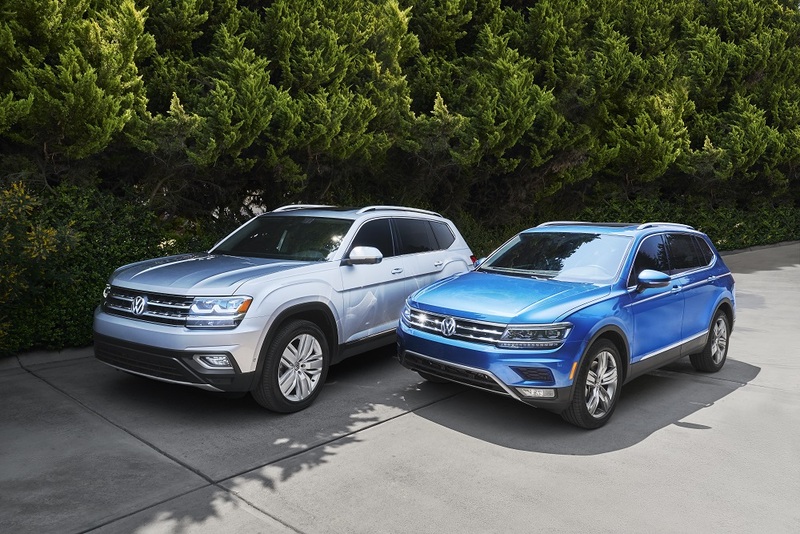 2019 VW Tiguan/VW Tiguan Limited- These two crossovers deliver a strong performance and a cabin that’s loaded with features. The VW Tiguan Limited offers a more compact body, offering a spacious cabin, but with the maneuverability of a much smaller vehicle. The VW Tiguan has a larger and more commanding appearance with additional cargo space. 2019 Volkswagen Atlas- The VW Atlas is the largest SUV in the lineup, able to accommodate more passengers with three rows of seating. On top of the ample cabin space, the vehicle packs a punch with the optional 3.5-liter V6, which is capable of delivering 276 horsepower and can allow the SUV to tow 5,000 pounds. While there are plenty of new VW models coming out, the ones listed above are currently in our inventory. You can easily make the trip to check out some new VW 2019 models for sale in Irvine at our dealership. Our VW experts can help you learn even more about the models and what they offer, what they can do, and the options that are available with them. Of course, to truly see if a 2019 Volkswagen model is right for you, you’ll want to get behind the wheel and experience it for yourself on the road. Only then can you be absolutely certain that you’ve found the right 2019 VW model that’s a perfect fit for you and your journeys throughout Mission Viejo, RSM, and Newport Beach. At Norm Reeves Volkswagen Superstore Irvine, we’re proud to help drivers find the vehicle that’s perfect for them! Are You Ready for the Top 5K Runs near Irvine CA? It’s time to lace up those running shoes and hit the streets for a good cause! Whether you’re in it to get fit, hang out with friends, or to show your support towards great organizations, we have you covered. 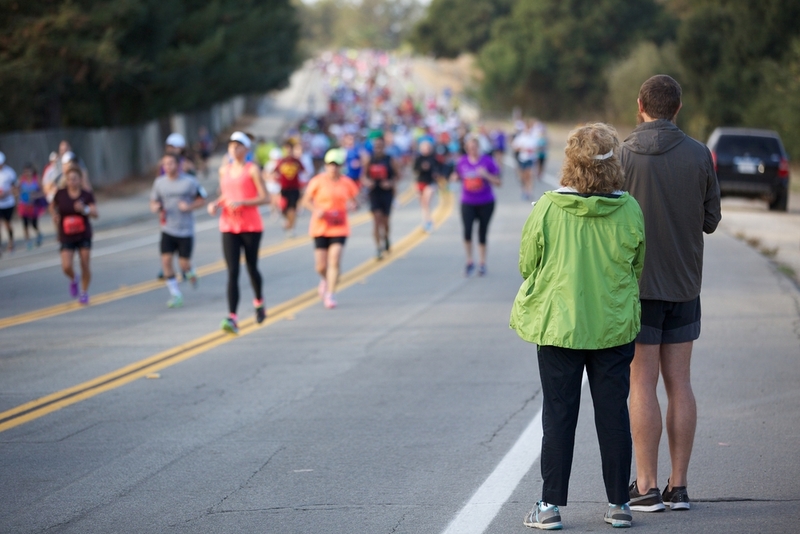 Below, you will find some of our favorite 5K runs near Irvine coming up soon. So, grab your running squad and get ready to have some fun with these races. Are you in it to win it? This ultimate Christmas run calls for you to deck yourself out in the holiday spirit while getting some exercise in between x-mas treats. You’ll enjoy this festive race with course-carolers and an after-race themed celebration filled with Christmas goodies, hot drinks, and a raffle. Best of all, you’ll be running to support those less fortunate this holiday. All the proceeds go towards helping families experience a Christmas, as well as providing much-needed goods to local homeless shelters. This fundraising 5K helps the Highland YMCA financial assistance program. By signing up, you’ll be assisting their ability to give scholarships, so the Y can help built strong and happy children, families, and communities. Along with the traditional race, there is even a 5K family fun run perfect for runners of all ages. Sign up soon to be a part of this daring and fun challenge and see if you can snag one of the top medals or trophies. 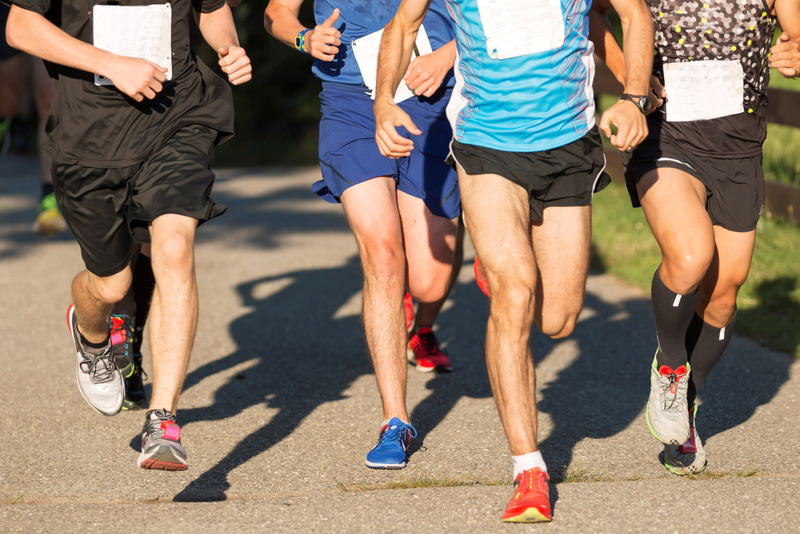 While putting those tennis shoes to the test, you can run proudly knowing when you sign up for this race, you’ll be helping an important cause. This 5K supports victims of crime by offering hope, advocacy, and generous resources. Before your run, you can warm up while listening to special guest speakers and watch the Survivors Dove Release. There is also food, entertainment, and a health and safety expo. Bring the whole family! Now that you know some of the best 5K runs near Irvine, you’re ready to exercise while having fun and helping some worthy causes.